RIMOUSKI, Que. 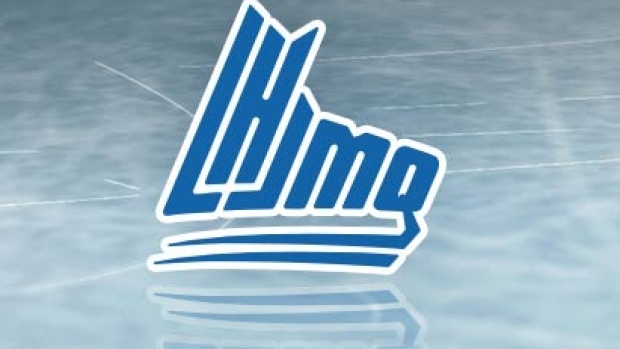 — D'Artagnan Joly scored 9:15 into the fourth overtime period as the Rimouski Oceanic beat the Chicoutimi Sagueneens 3-2 on Saturday, taking a two-game lead in their first-round Quebec Major Junior Hockey League playoff series. Rimouski's Cedric Pare tied the game with 1:04 left in the third period to force the extra frames. Dmitry Zavgorodniy scored in the first period. The Oceanic peppered Chicoutimi's Alexis Shank with 83 shots total, including 41 over the first three overtime periods. BAIE-COMEAU, Que. — Elliot Desnoyers' second goal of the game stood as the winner as Moncton downed the Drakkar in Game 2 to even their first-round series. Ethan Crossman and Samuel L'Italien replied for Baie-Comeau.